Rare Opportunity! 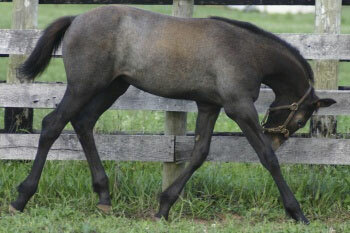 BenMar Nightingale, 2008 Irish Draught Filly is SOLD!! 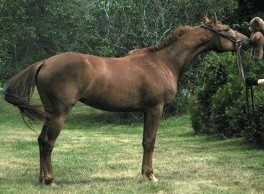 Blue will be left open this year and bred to an outside stallion next spring for a 2011 foal. This will be one of the last opportunities for this stellar combination! We plan to do Embryo Transfer with Ffion in 2010! -Jenna Ordway, owner of Belfrey’s first sport horse foal. 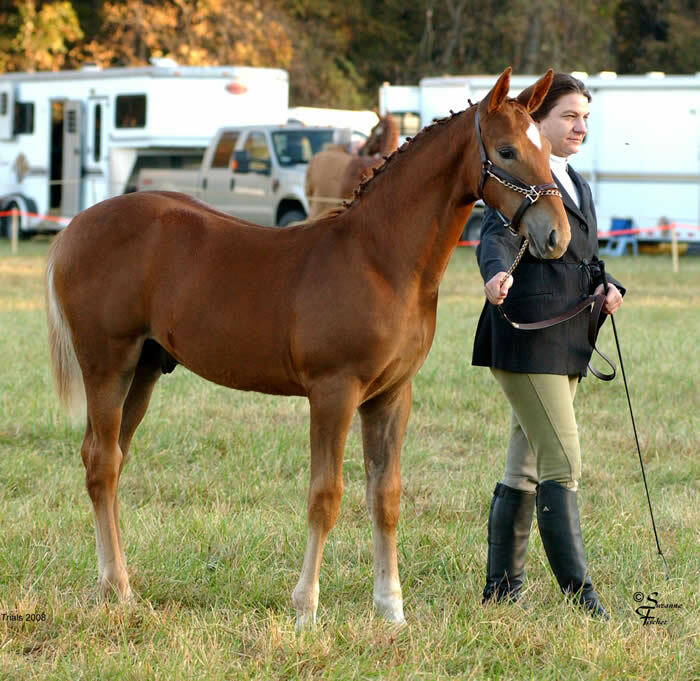 BenMar Farm is excited to present Purebred Irish Draught Foals and Irish Draught Sport Horse Foals by our stallion Bridon Belfrey, RID. Please click on the photos or links to see more. We also invite you to check out our horses for sale. 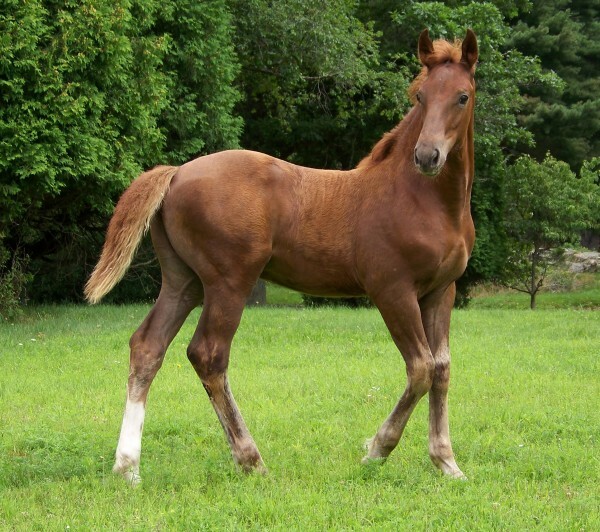 We offer substantial discounts for our Irish Draught Sport Horse babies if purchased in utero or before weaning! This colt boasts rare bloodlines and possibly rare bay color, perfect for a potential stallion owner to enhance the Irish Draught gene pool! Bridon Belfey, RID X Bally Beg Pride, RID by Pride of Glenogra, RID out of a Golden Warrior mare. Robin Desmond of Runchkin Hill Farm in MA says she's never seen a foal with such charisma, personality, presence and athletic ability. She is so blown away by his quality, she has chosen to repeat this breeding in the spring. 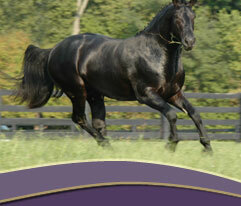 Bred by BenMar Farm, KY, Nightingale is the ideal ID foundation broodmare prospect. Her outstanding conformation and strength of pedigree is likely to improve upon any stallion she is put to. Nightingale is in-your-lap friendly and floats on clouds! Athletic, Correct Conformation, Ample Bone and Balanced, Uphill Mover! See Video at 3 days old! See Video of Brady's balanced, elevated canter at 1 week old! Epona Farm is thrilled with her new boy noting his correct conformation, very elevated canter and "WOW" trot. Dana also says he is so inquisitive and friendy she is forced to hide behind another mare in order to snap photos to keep him from following her everywhere! Dana is so pleased she is breeding to Belfrey again for a 2010 sport horse foal and is considering Belfrey for her other purebred mare! SOLD to Ann of Texas! Congratulations! 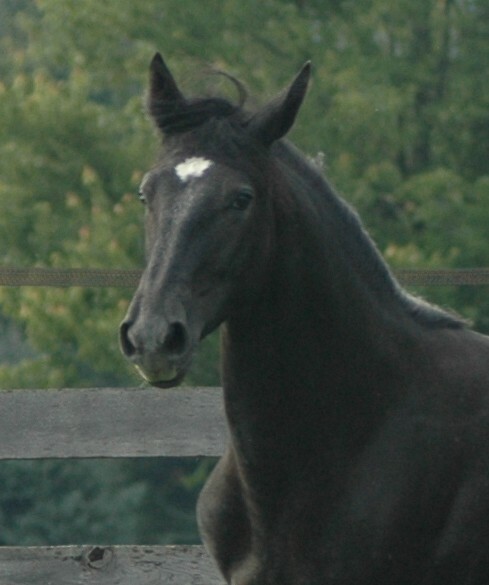 "Roxie" is was purchased as a Foundation ID mare and is headed for a competitive show career. Bred by Rachael Cox of Windfield Farm, PA and owned by Ann of Texas. Rachael is so pleased with Roxie, she is breeding back to Belfrey for the 3rd time!!! The MacKay's are thrilled with their colt and say he is incredibly willing disposition, presence, elegant neck and head and fabulous shoulder. 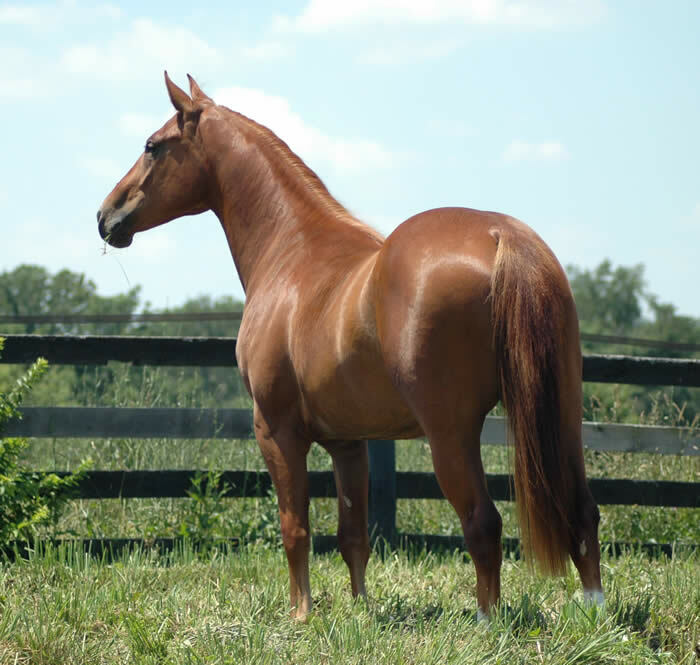 "Darcy" is out of a traditional mare and has tremendous bone and athleticism. SOLD! as a Stallion Prospect! to Elizabeth of Oregon where he will compete in Dressage and Eventing. 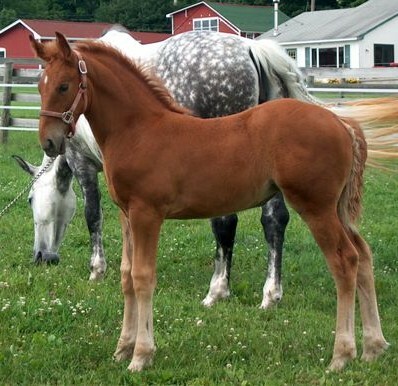 We could not have hoped for a better Purebred Irish Draught foal! NightHawk is correct in every way and his movement is spectacular! "Little Joy" displays regal presence, quality and a sweet disposition. Upon her IDHSNA approvals, this "cracking good" filly will serve as a foundation mare for Tipperary Farm! Owners "love this filly to pieces" and have decided to repeat the breeding for a 2010 foal! Won the IDSH Breeder's Championships at the 2007 USDF KDA Breeder's Classic! Julep is of outstanding quality and elegance and has the most exceptional temperament of all the foals produced at BenMar Farm. She has supreme agility and athleticism making her a top notch eventing prospect and all rounder. Talent to excel in all disciplines. Julep is headed for a career in Eventing and all around family horse. Gifted Athlete, outstanding movement, suspension and balance. Talent to excel in all disciplines. This filly is of outstanding quality and elegance. She has exceptional athletiicism and has upper level Eventing potential. She has supreme agility, balance and scope making her a top notch eventing prospect and all rounder. Champion Irish Draught Sport Horse Colt! Balla Ruan (Red Wall) is a rare red dun. He is so willing, Balla has participated in Battle reenactments! He is a 2 time in hand Dressage Champion. Balla has Belfrey's long elegant neck, fantastic shoulder and substance. Coco is very friendly and active. Her presence is rare for a filly. Coco also has a long elegant neck, gorgeous face and sweet disposition. She is not gaited. Her owner, Teresa, adores her sweet nature and playfullness. She says Coco is a barn favorite! 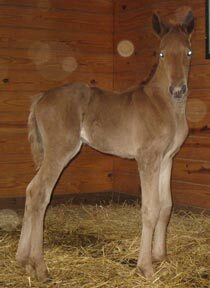 Briette, IDSH is a stunning liver chestnut filly. She is destined for the hunter ring and is a barn favorite. Briette's owner, Jenna Ordway, thinks so highly of this young mare she renamed her farm after her, Red Mare Farm. Briette is now under saddle!